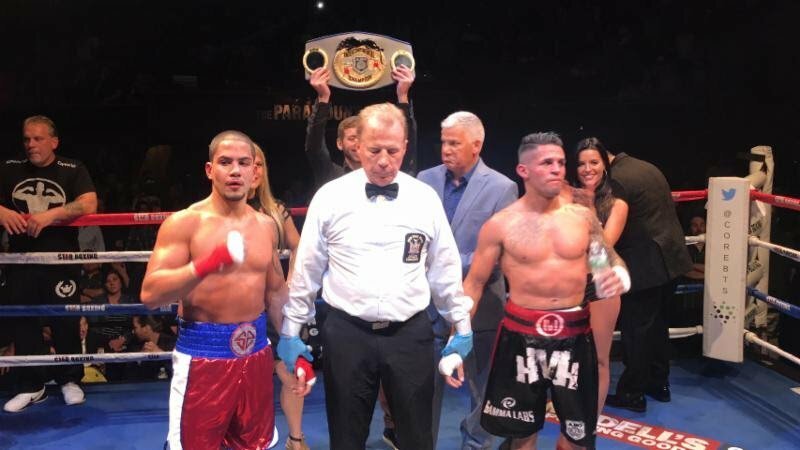 The main event last night was a throwback to the glory days of boxing when neighborhood rivalries filled the venerable NY fight clubs as a sold-old crowd engrossed in the thrilling, tooth and nail war between DANNY “EL GALLO” GONZALEZ and JOHNNY “HITMAN” HERNANDEZ. The crowd was so loud that you could barley hear yourself think. The incredible back and forth action was amplified by the crowd’s alternating and competing shouts of “Johnny” and “Danny”.